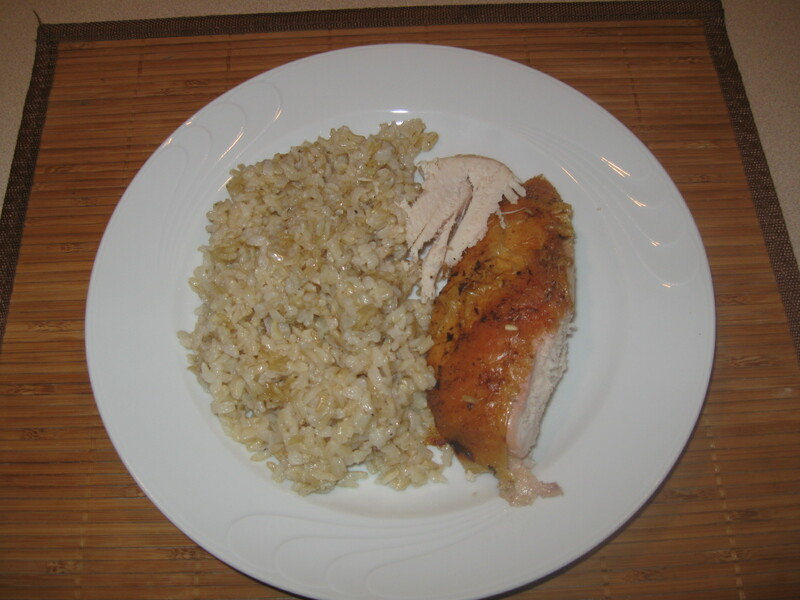 What I like about this recipe is the taste of rice cooked in the oven with the chicken , absorbing all its wonderful flavors. Try it if you haven’t already and let me know how you liked it. How to make: Rinse the chicken very well. Rub salt, pepper and oregano on its skin and the inside. Put in a roast/pyrex pan. Sprinkle the chopped onion in the pan. Avoid putting the onion on the bird because it may burn. Sprinkle chicken and rest of the pan with olive oil. I use almost half a cup. Add a cup of water and the juice of one or two lemons (your taste!) and cook in a 380-400 F – 200 C oven for about an hour. Half way through, check to be sure that the onion is not burning for luck of liquid and also to baste the bird with liquid from the pan. Rinse the rice well and add it in the pan. Add approximately 2 1/2 cups of water per cup of rice. Spring salt to taste and cook for another half hour or until the rice is cooked. Check half way to be sure there’s enough liquid for the rice. Different rice varieties need different cooking times and amount of water. I used whole grain rice as you can see in the photo. Enjoy!